If you read my previous mask review of the Elizavecca Milky Piggy Water Lock Hydrogel Melting Mask, you noticed in my Instagram photo that I received two different masks to try out. 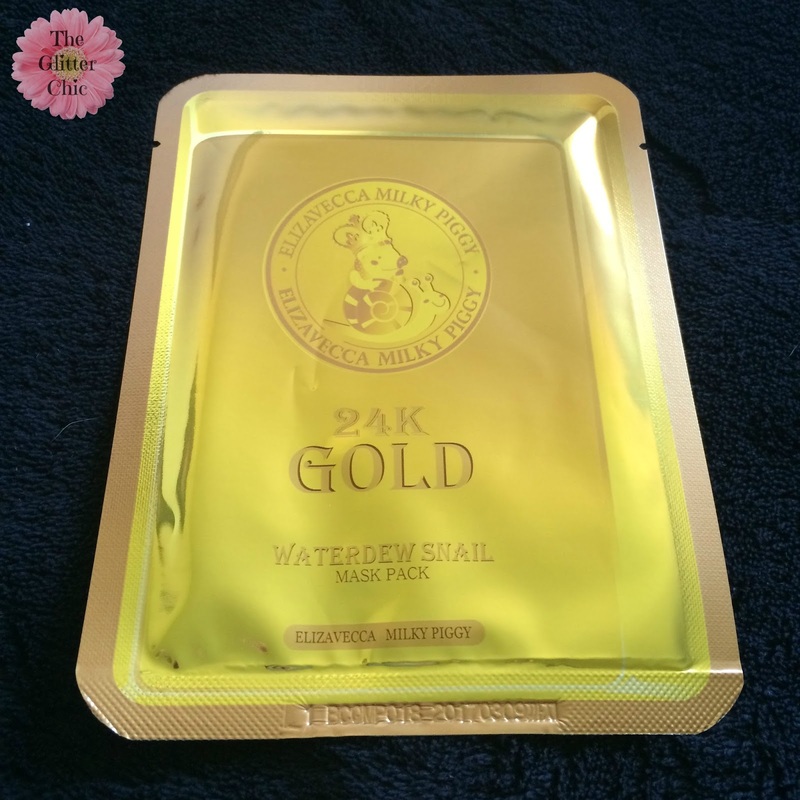 You already saw the first (if not, I linked it above) so here is the second; the Elizavecca Milky Piggy 24K Gold Waterdew Snail Mask Pack! If you need a brief reminder; I am roughly 30 years old with oily, acne-prone skin. 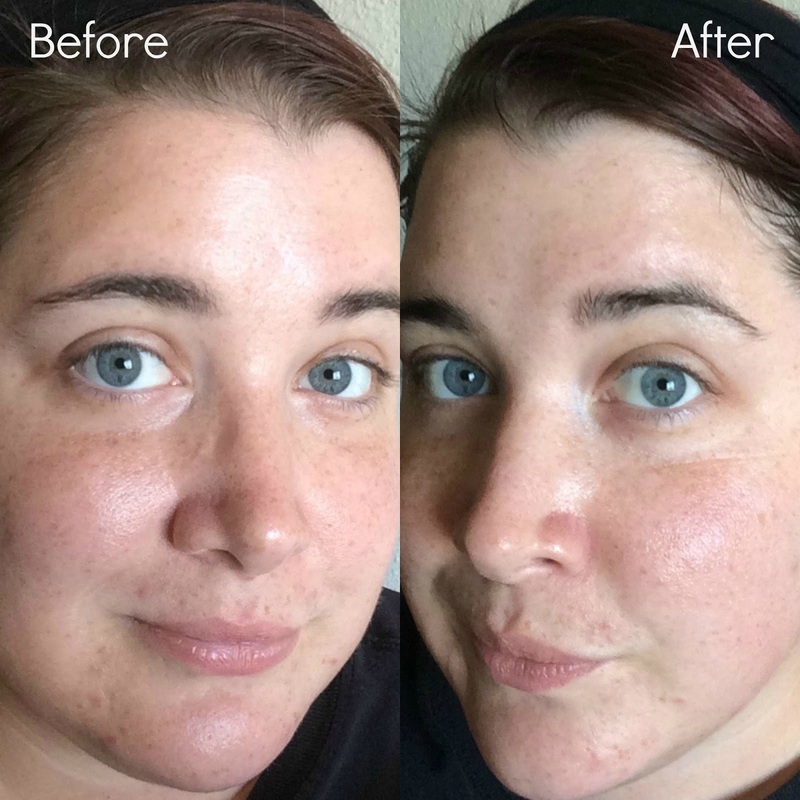 I suffer from hyper-pigmentation, fine lines around my eyes (from squinting as well as sun damage), blackheads, closed comedones, acne scarring, and occasional cystic acne. I do have an alcohol allergy, which often times effects my skin if there is too much in the products I'm applying. From what I could tell from the back of the mask envelope, this mask is good for anti-aging. 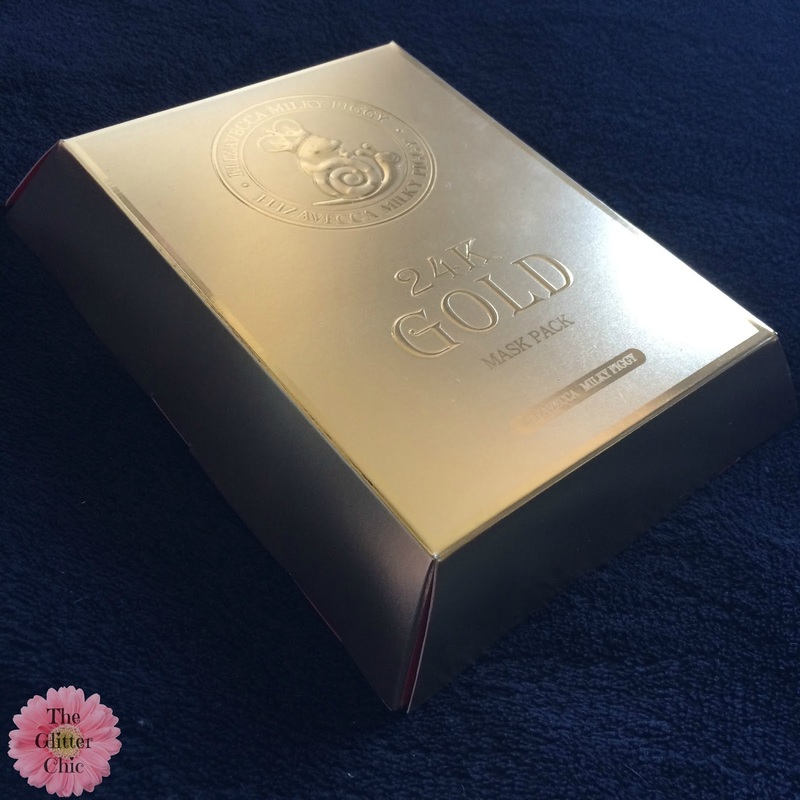 I was unable to translate the full list of ingredients at this time, but I did find these noteable ingredients: snail filtrate, gold extract & hyaluronic acid. 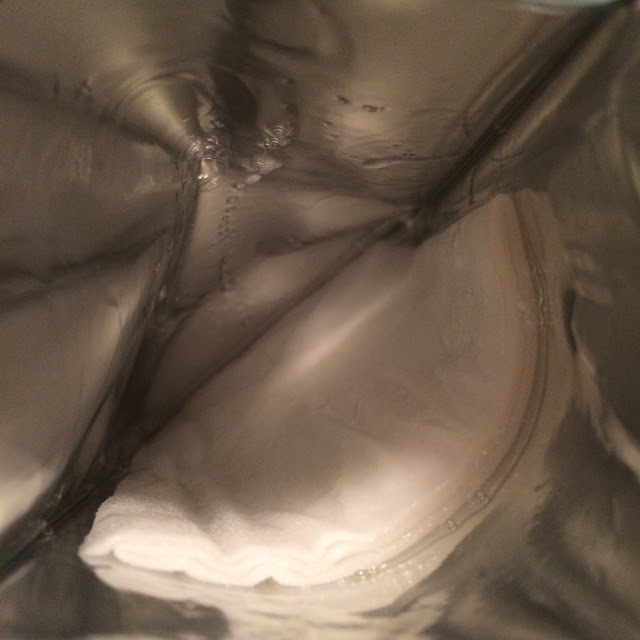 Unfortunately I do think it looks like this mask also appears to contains ethanol, which is an ingredient I am highly reactive to, but fortunately this mask did not cause any issue for me. EDIT: Here is the list of ingredients on Cosdna. 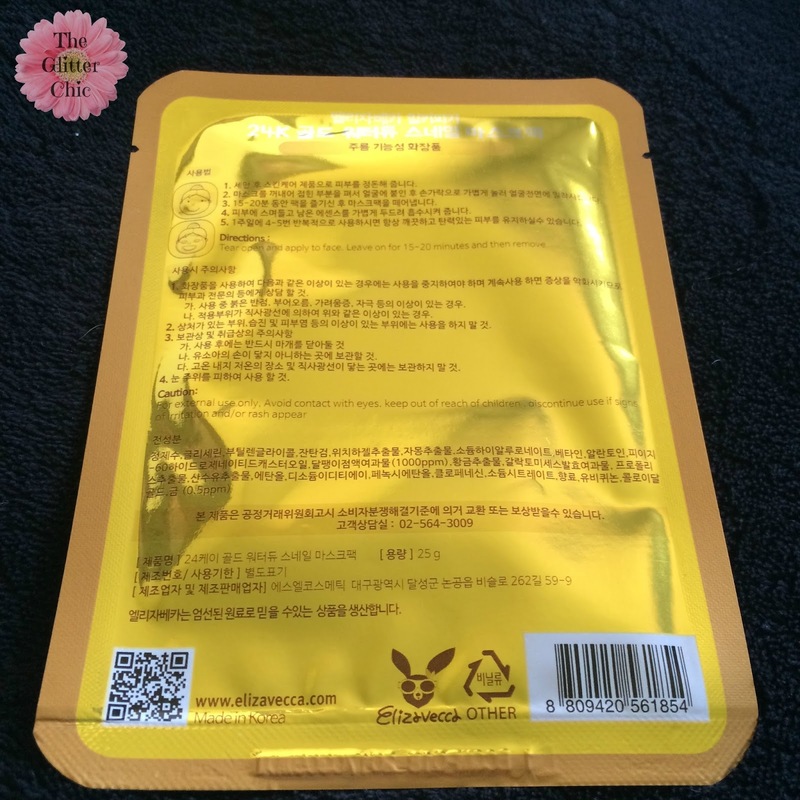 This mask is a standard cotton sheet mask with a good amount of essence. There is a little extra, but the mask doesn't hold onto an excess and cause a drippy mess on my face and neck. The essence is fragranced, but each time I tried this mask the scent quickly disappeared upon application. 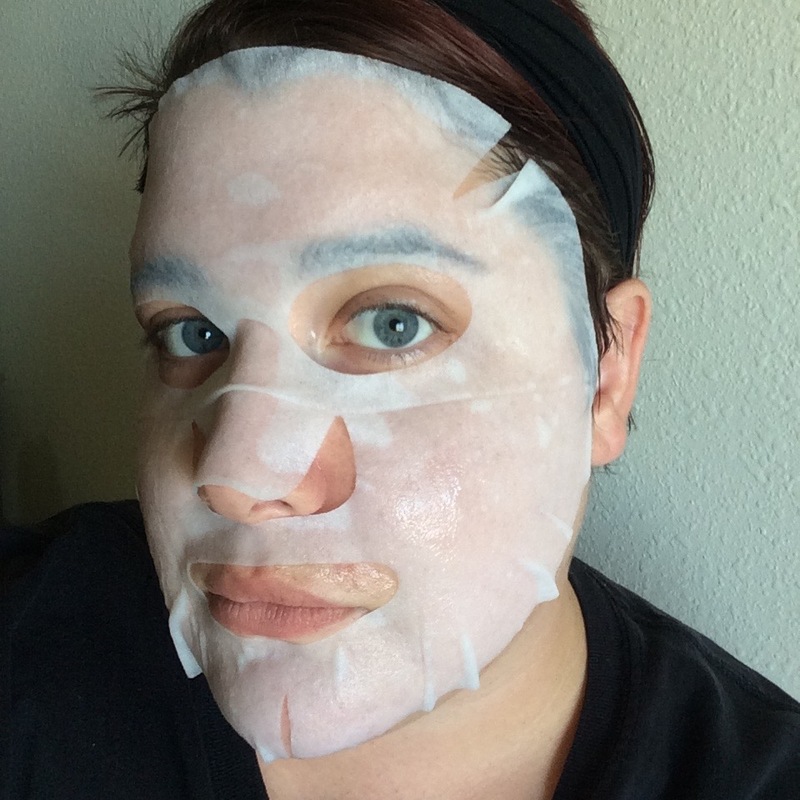 This mask had a good fit, I was able to bring it in closer to my undereye area (which needs the most anti-aging help it can get...) but I did find it left a larger gap around my nose than I typically see from other sheet masks. I found this mask to be brightening, smoothing, and hydrating for my skin. It left my skin dewy without leaving any tackiness behind, but I did need to apply a heavier cream before bed than I usually do. You can purchase this product on Memebox*.